We've had a great 2015 with CFF, and 2016 is shaping up to be just as fun! Stay tuned for updates on club activities for the upcoming year! The January 2016 club meeting is Wednesday January 20th. Stay tuned for details on the special presentation. The fly of the month for January 2016 is the San Juan worm. 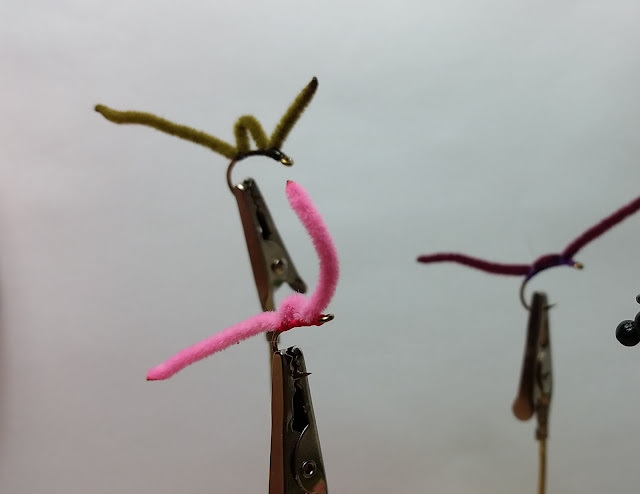 This fly takes about 1 minute to tie, so everyone better be bringing a fly this month. Check out the Fly of The Month tab for details if you need a place to start. Penso che questo dovrebbe essere il miglior orologio di replica che abbia mai comprato,orologi replica condivido questo sito con i miei amici, sono molto felici,repliche cartier orologi il prezzo è così basso e posso comprare un orologio così buono.